At the beginning of July, many Hawaiian Petrel parents experienced breeding success as chicks finally emerged from their eggs and peered out into the world of Haleakala National Park. Living in burrows at the base of rock outcroppings, where erosional debris provides the perfect spot for their parents to create their tunnel-like homes, these petrel chicks will remain in Haleakala for almost four months before venturing back out to sea. Studies reveal that before “popping out”, the parents do not help chicks emerge from the shell. It can take over a day from when the young first start tapping from the inside (pipping) to when they finally make their way out. Even with cooler temperatures atop Haleakala, these Petrel chicks can thermo-regulate almost immediately and hardly need any brooding from mom or dad. They are however dependent on them for food for quite some time. To stimulate feeding behavior, adult petrels gently nibble at the chick’s bill and then offer up regurgitated food. Feeding rates tend to peak during 30-60 days, the period their young will have maximum growth. Chicks will steadily put on weight and then actually lose weight in the last nestling quarter before fledging, when they become independent from their parents. Breeding success at Haleakala is only about 70%, from both natural and unnatural influences. Some eggs are infertile and sometimes the embryo dies before hatching, both natural occurrences that scientists can’t yet explain definitively. Adults sometimes accidentally crush the shells and the native Hawaiian Short-eared Owl (pueo) has been known to scoop up petrel eggs for lunch. However, the most serious cause of mortality and the biggest threat to the Hawaiian Petrels’ breeding success revolves around predation by mongoose, feral cats, and rats, which is in essence “unnatural”. These species are introduced and non native and never played a role in this ecosystem before. The petrel never built a defense mechanism for ground dwelling predators and is now faced with a new threat they have no experience with. These terrestrial predators are a big problem. -Island ecology is so very fragile. 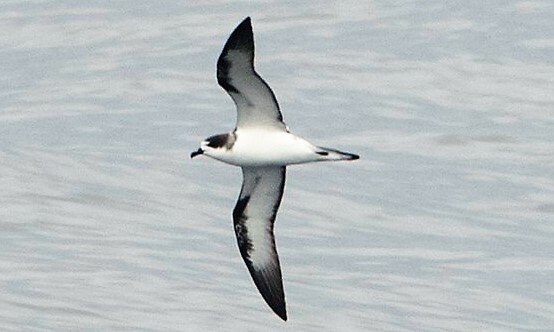 The impact on Hawaiian Petrels from introduced species is just one of many stories involving native species being threatened and destroyed by non natives. Many of these species are on population decline. If you’d like to learn more about Hawaii’s fragile ecosystem, we encourage you to visit the following sites and consider donating to these valuable groups that try to protect Hawaii’s native species.